After a very successful stretch of Moser Sportsman Shootouts showcased at selectNHRA divisional races, three new events have been added to the schedule for the 2016 season. The Sportsman competitors in the classes of the NHRA Southeast, North Central, and South Central Divisions are eligible to compete in the coveted Moser Sportsman Shootout, with a combined purse of $45,000 (after completing the yearly registration online at www.moserengineering.com). This points battle over the stretch of the season will determine 14 of the 16 qualifiers for the shootout event, with the final two entrants being randomly drawn from the online registration pool. Entries also have the alternative option to register for each Sportsman class they compete in, at a minimum of three events per division. This unique dial-in/breakout handicap-formatted 1/8-mile race pairs up a wide span of sportsman racers, from Super Stock, Stock, Super Comp, Super Gas, Super Street, Top Dragster, and Top Sportsman classes. Each event also features a $15,000 cash purse with $5,000 awarded to the event winner, $2,000 to the runner-up, $1,000 to each semi-finalist, and $700 being paid out to the quarter-finalists. The remaining shootout qualifiers will receive $400 in cash each. The South Central Division shootout will carry over to the 2017 season at Texas Motorplex in Dallas. The date is to be announced. “The Moser Sportsman Shootout is another in a long line of programs we offer to racers that have supported us,” stated Jeff Anderson of Moser Engineering. “We have always appreciated our friends and racers who use our products, and because of this support, we have continued to grow for more than 30 years. We understand why it is important to go beyond just contingency programs. It is just one of many ways we like to recognize these competitors and say thank you.” To qualify for the shootout, points are to be awarded based on a racer’s best four finishes at the designated division points races, and stay within the division that they’re acquired in. Even though drivers aren’t required to run Moser axles to compete in the event, they are required to run the program decal in a visible location during the events. 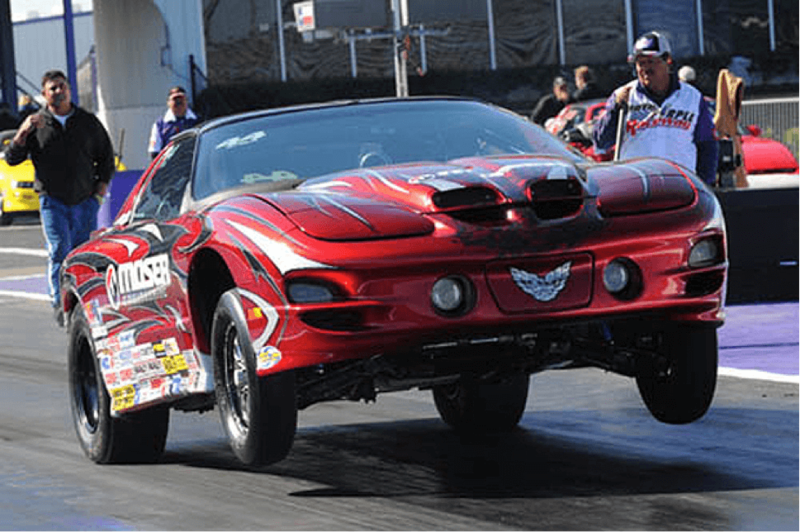 Moser Sportsman Shootout rules dictate that participants are only eligible to the full posted purse if their drag racing machines are equipped with Moser axles, however, event participants still receive a 50 percent cut of the posted awards if they’re not running Moser axles. Just as in qualifying rounds, racers are also required to run the Moser Engineering decal for the complete duration of the shootout. 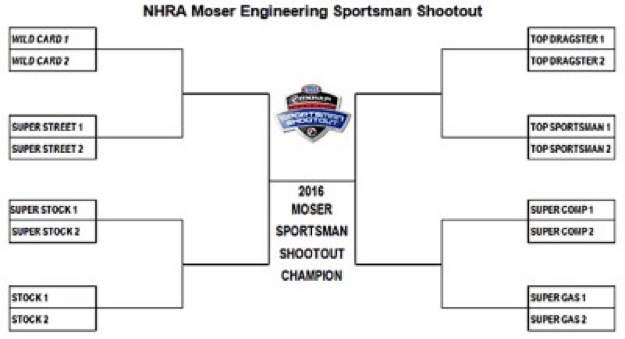 If you’re setting up your sportsman ride for the 2016 season, make sure to throw in a set of Moser axles and get ready to throw down with the most competitive NHRA sportsman racers that Divisions 2, 4, and 5 have to offer. Shared by Justen Spencer and our partners at Dragzine.com.